Introducing The Royal Blue. A dramatic and utterly romantic ring inspired by Princess Diana's engagment ring - currently residing in all its glory on Catherine Middleton's third finger on the left. Created in rich Sapphire and Crystal Clear Swarovski crystals it's a magnificent copy of this historic ring and truly, madly deeply romantic. 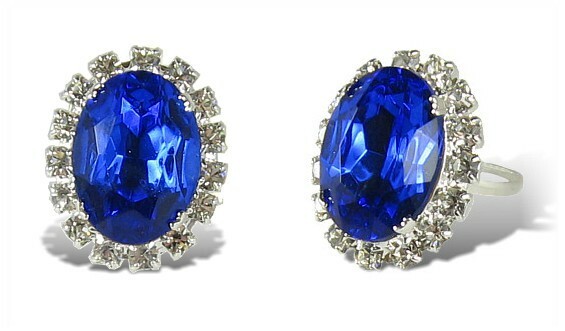 But the real beauty of The Royal Blue is that just like the sapphire and diamonds of the real thing, it sparkles for England! Adjustable. Oval Size 2.4cm x 18cm.